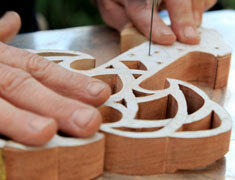 On 18-19 January, the National Botanic Garden of Wales is hosting Woodcraft Weekend. 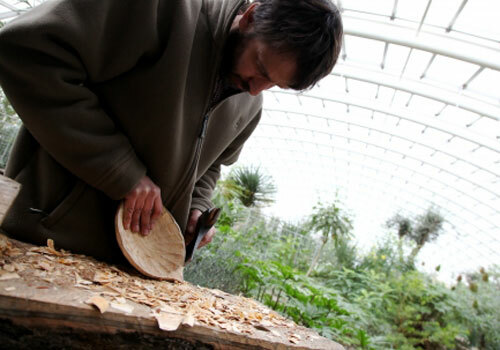 Woodturners, love spoon carvers and an axe sculptor are taking over the Great Glasshouse and Marquee for a weekend of demonstrations and displays at the Gardens, in Carmarthenshire. Admission is just Â£2 for adults and free for under 16s. 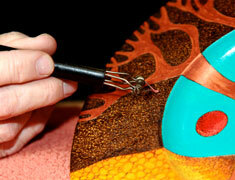 Organiser and exhibitor Les Bryan said: "It is a real treat to see some of the UK's top carvers and turners in action. Last year's woodcraft weekend was hugely popular and we expect this to be even bigger. Families might also like to know that international pyrography artist Bob Neill will be demonstrating and running children's workshops this year." The three main demonstrations at the event include Bob Neill, Simon Hope with a materclass in woodturning and Mark Raby will demonstrate wood colouring and designs. The British Woodcarvers' Association, Ammanford, Nickwesterman will also be in attendance. Timberman, Ashley Iles, Hamiliton Baverstock, Martin Pidgen Timber, Robert Sorby and Isca Timber will also be there, displaying their best and latest equipment. It looks to be a great weekend with a great line up!